We spoke to more than half a dozen top executives at pharmaceutical companies like Novartis and Eli Lilly how they’re thinking about Amazon’s entry into healthcare. Amazon has the entire $3.5 trillion healthcare industry on edge. News of the retail behemoth’s acquisition of PillPack, its plans for a joint healthcare venture with JPMorgan and Berkshire Hathaway, and its work supplying hospitals with health equipment have all sent would-be competitors like pharmacies and drug wholesalers into a tizzy. The fear is that Amazon will upend the healthcare industry, relentlessly compressing health companies‘ margins and siphoning off their customers in the same way it has in the publishing and retail industries. Yet we’re still in the early innings of figuring out Amazon’s healthcare ambitions, and the company has said little about them publicly. For instance, while it seems likely that Amazon could get involved in selling and shipping drugs or medical equipment, it’s unclear what impact Amazon could have on big pharmaceutical companies themselves. While on a trip to San Francisco for the annual J.P. Morgan Healthcare Conference, Business Insider asked pharmaceutical executives and healthcare experts for their perspectives on Amazon’s healthcare strategy — and whether they think Amazon will become a competitor. Amazon did not immediately return a request for comment. 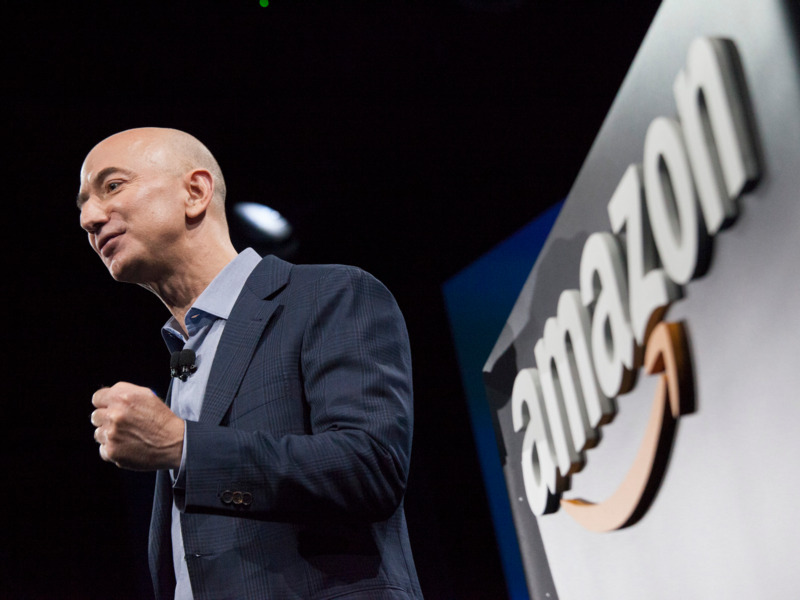 When it comes to Amazon’s healthcare ambitions, one thing is clear: „They’re going to do a lot,“ Jorge Conde, a general partner at venture capital firm Andreessen Horowitz, told Business Insider. That’s based on the moves Amazon has already made, like the PillPack acquisition and the health joint venture, as well as Amazon’s work in genomics through Amazon Web Services. Conde sees the retail giant going beyond that. „They’re going to straddle the entire healthcare value chain in some way, shape, or form,“ Conde said. For the most part, the pharmaceutical executives BI spoke with didn’t see themselves as the entities that would face disruption. The business of developing new pharmaceuticals and manufacturing them is a time- and capital-intensive process. Rather, Amazon’s potential — as the pharmaceutical industry sees it — has everything to do with how it could affect the rest of the healthcare industry. „The big big potential improvement frankly is on the rest,“ said Hervé Hoppenot, CEO of the Delaware-based cancer drugmaker Incyte. From when a drug is made to when a patient picks it up at a pharmacy counter, as many as five companies can be involved in the process of selling medications. Each company makes a tidy profit along the way. And as prices increase, so do those profits. Pharmaceutical companies have been pointing to the middlemen in the system as the reason for the rising prescription costs patients are facing at the pharmacy counter. Christi Shaw, the president of Lilly Bio-Medicines, the business within Eli Lilly that comprises neuroscience and immunology, said she personally is hopeful that tech companies could help patients better afford medications. „It’d be nice to go back to making medicines that help improve patients‘ lives and not be focused on the questions of access and rebates,“ Shaw said. Paul Hudson, the CEO of Swiss drug giant Novartis’s pharmaceuticals unit, is also eager to see what Amazon and other tech companies brings to the table. „I love the tech potential disruption to our industry. I think we should have to stay relevant,“ Hudson told Business Insider. Novartis for its part has been pushing to increase the use of technology in its business. Some pharmaceutical leaders see Amazon as a potential partner. Rick Suarez, AstraZeneca’s vice president of US market access, is in charge of making sure patients get access to their medications, including working with health insurers and employers. „There is tremendous opportunity for public and private partnerships that would include new partners in the marketplace,“ Suarez told Business Insider. That’s especially true in the context of the healthcare joint venture that aims to lower costs for Amazon, JPMorgan and Berkshire Hathaway employees. „If there is an opportunity to work closely to solve for issues that their employee population would have been plagued by — for example diabetes or cancer or respiratory — there’s a huge opportunity for us at AstraZeneca to be a partner,“ Suarez said. Nina Kjellson, a general partner at venture firm Canaan Partners, has been watching with interest the areas where Amazon has already started selling health-related goods, such as durable medical equipment and over-the-counter medications. Should Amazon start to dispense and ship prescription drugs as well, companies like CVS Caremark and Express Scripts, which have businesses mailing out prescriptions, should be terrified, she said. „They have the wherewithal to be the mother of all mail-order pharmacies,“ Kjellson said. Hudson said met with the PillPack team at the JPMorgan conference, and they told him a little about their initial goals. Axel Bouchon, who heads up Leaps by Bayer, an organization within pharma giant Bayer focused on finding and funding breakthroughs, sees tech companies dipping their toes into healthcare in areas that are the closest to their hearts. For Google, that’s through processing data in companies like Verily. For Apple that’s through the Apple Watch and its health tracking. But for the big tech players — including Amazon — he doesn’t see those moves as their big jumps into healthcare. When Amazon bought Whole Foods, Bouchon said he remembers thinking that was a smart deal. Collaborations can only get you so far — once you own a business, you can get a better understanding of it. But in the meantime, Amazon’s already cemented itself as a player in the healthcare industry. „Will they be a significant player? They already are,“ Conde said. A 237-year-old Japanese drug company just combined with a rival halfway around the world. Here’s how they’re confronting the challenge of merging 2 cultures. A top Silicon Valley VC firm avoided investing in prescription drugs for a decade. Here’s why Andreessen Horowitz is changing its mind.